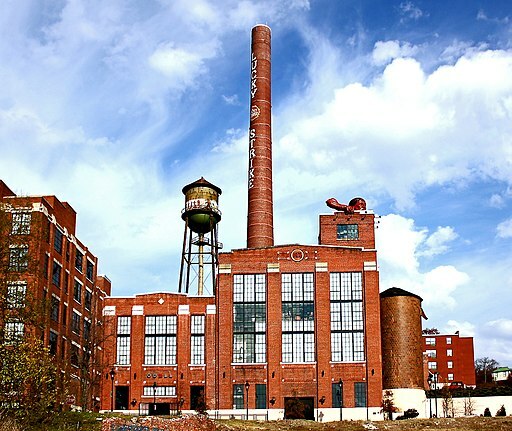 If you looked up at the Lucky Strike building these past eight years, you would have seen a massive sculpture of an American Indian looking over the James River. The familiar and imposing sculpture was recently removed this past Friday. The epoxy and fiberglass surface is in need of resurfacing due to 8 years of full exposure and no maintenance/ no waxing. Whether it will go back on Lucky Strike (there is a building planned to go up directly between it and the river) or on another site is yet to be decided. It will be in protected storage until the weather breaks which will make the resurfacing more easily and effectively done. Developers Charles Macfarlane and Sam McDonald, who own the Lucky Strike Building at 2700 E. Cary St., had the sculpture, named Connecticut, removed last Friday from the corner parapet over which it had peered for the past eight years. Richmond artist Paul DiPasquale, who finished the sculpture in the early 1980s, will refurbish it as the developers decide whether to return it to the rooftop or mount it on a new one, Macfarlane said. Connecticut Chuck was originally located at the Diamond when the Braves played there and his name was Connecticut. Connecticut’s Indian translation is “along the long river”. 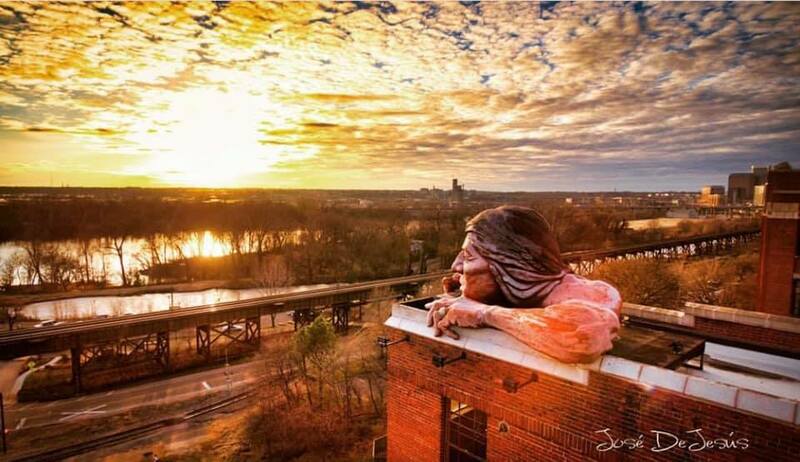 When the Flying Squirrels moved into the Diamond, from coincidentally the state of Connecticut, he became expendable and was sold by the then landlord, the RMA, to the building tenant in this photo who felt that Connecticut should be in a location peering down at “the long river”. Creative Dog Media also has some incredible images of the sculpture- check out some of them (they’re for sale!) here! The RTD mentioned that a place closer to the river and downtown may be where it goes. The first place that came to mind was the new Civil War Museum at Tredegar. Any info on how I can contact photographer José DeJesús? Link does not work. Love the print. @george I’ll get in touch with him! Do you care if I send him your email? Happy about the new home.. congrats yaa..